Almost one in five MPs have now signed a pledge to never report a constituent to the immigration authorities in response to a charity campaign. A coalition of migrant advocacy groups - including Liberty, Migrant Rights Network and Global Justice Now - have called to MPs to promise to never inform on migrants who ask them for help. The campaign, "MPs Not Border Guards", has written to the Speaker of the House of Commons, demanding that he intervene to stop the practice. Exclusive figures revealed by The Independent in June showed that MPs had reported 723 suspected illegal immigrants to the Home Office between 2012 and 2017. Currently, 113 out of the 650 MPs have signed the pledge to protect those with uncertain immigration status who approach them at constituency surgeries. The majority are from Labour, along with 25 from the Scottish National Party and eight Liberal Democrats. Only one Conservative - Heidi Allen - has added her name. More than 3,200 people have also emailed their own MP to ask them to join the campaign, the MPs Not Border Guards website says. In a letter to John Bercow, the coalition of charities wrote: "Many of those reported will have been vulnerable migrants, approaching their MP in the hope of getting support for their immigration cases. Instead of finding assistance, care and discretion, the conduct expected of an MP, these individuals are having their trust betrayed. Former Lib Dem leader Tim Farron, who is backing the campaign, said he was "astonished" that any MP would "shop" a constituent to the authorities. 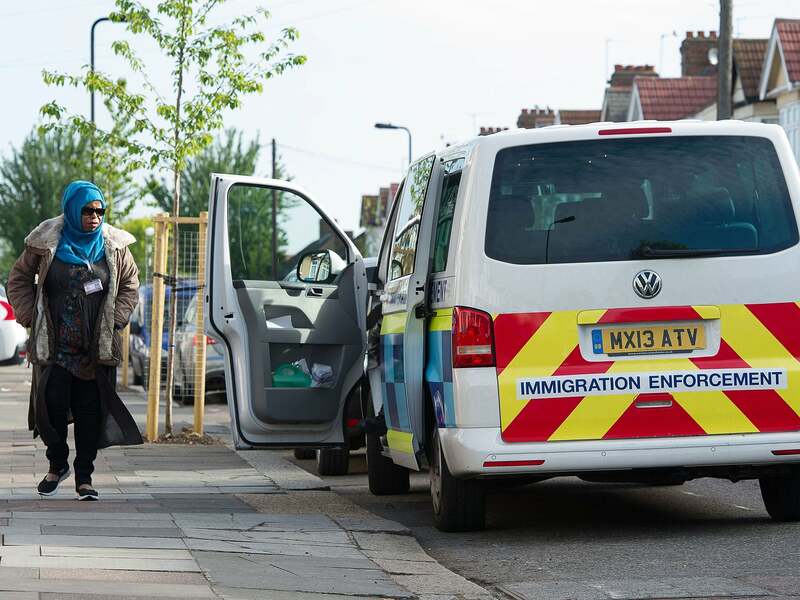 The chief executive of the Joint Council for the Welfare of Immigrants, Satbir Singh, said that if MPs continued to inform on migrants who asked them for advice, they would drive vulnerable people "further underground and into the shadows". He said: "MPs should not be taking it upon themselves to act as border guards, betraying the trust of their constituents and perpetuating a culture of hostility towards migrants. Have we not learnt anything from the scandal and tragedy of Windrush?" But some MPs disagreed. Tory Christopher Chope said that he had personally called the immigration hotline. This view was echoed by Lord Green, the chairman of the anti-immigration group Migration Watch UK. "The task of MPs is to represent the electorate, not those who have no right to be in the country at all," he said. "Illegal immigrants are not constituents and over three-quarters of the electorate consider illegal immigration to be a serious problem. "MPs are not immigration officers, but to make public pledges that have the effect of encouraging illegal immigrants to stay in the UK is irresponsible and further erodes public trust in our political system." Mr Bercow's office was asked for a response to the charity's letter, but has not yet replied.